This page is about "Homebrewing" or "Rolling-your-own." Homebreing or rolling-your-own is where you build it yourself. Most start with something very easy, and over time work on more complicated stuff. Don't worry, If you can't or don't have any interest; it's not requiired. Some people just buld there own Coax cables, to save some money. 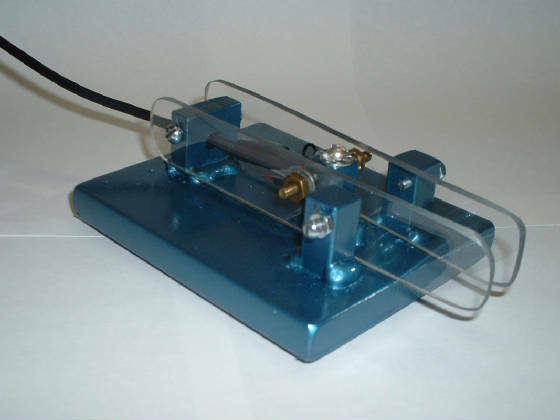 Others like to build antennas, or easy radios. You can buy kits, or get plans of what others have built. Some get so good, they begin to design their own. QST, the magizine usually has at least one thing to build in each issue. Me I tend to build cables, antenna, and non-electronic equipment. Through my club, I run into friends who are happy to help, and are glad I'm even interested. This is an Iambic paddle I built. You plug it into a keyer, then to the radio for morse code. It works pretty well, and it fun to make. This is just one of many antennas I have built. For me it is pretty relaxing therapy. I go find one built on line, or a magizine, go buy the needed materials, and try to build. Sometimes It works, Sometimes it doesn't. When it doesn't , I try to figure it out where I made the mistake, and fix it. Here I just bought a cheep $3.00 gun case. I pulled out the foam, and traced the equipment on the back of the foam. Then I cut out the pieces with a utility knife. Then I fillet each cut-out in half, and put back in the hole. 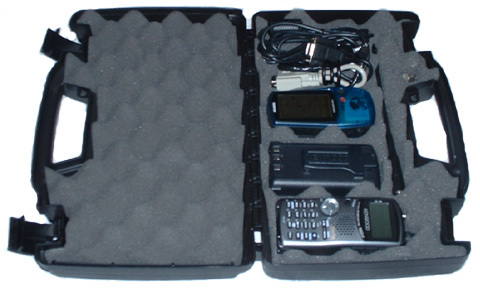 Makes for a nice case for Hand-Held radios.